As natives of Rhode Island, our firm's attorneys share a deep connection and respect for our community and its citizens. Working as a team, we combine our decades of legal experience to provide the most effective solutions possible, and we can handle any client's case no matter the circumstances or challenges involved. When working with our law firm, our clients receive personalized attention from an attorney they can trust. We represent clients from all walks of life. From employees facing a workplace issue to those who have suffered an injury or loss due to negligence, and from couples seeking to end their marriages to families with legal issues regarding their special needs children, we are devoted to achieving our clients' needs and goals and offering them peace of mind in the face of a traumatic event. 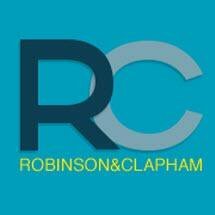 If you have a legal need related to one of our practice areas, you can trust Robinson & Clapham to advocate on your behalf. Our law firm offers free initial consultations with no obligation.